We are pleased to announce that our next Thrive office space at Foundry House in Widnes is now open and we want you to join us for a special celebration. Foundry House offers 35 office suites in a range of sizes, along with meeting rooms, a breakout space and an expansive garden area with external Wi-Fi. 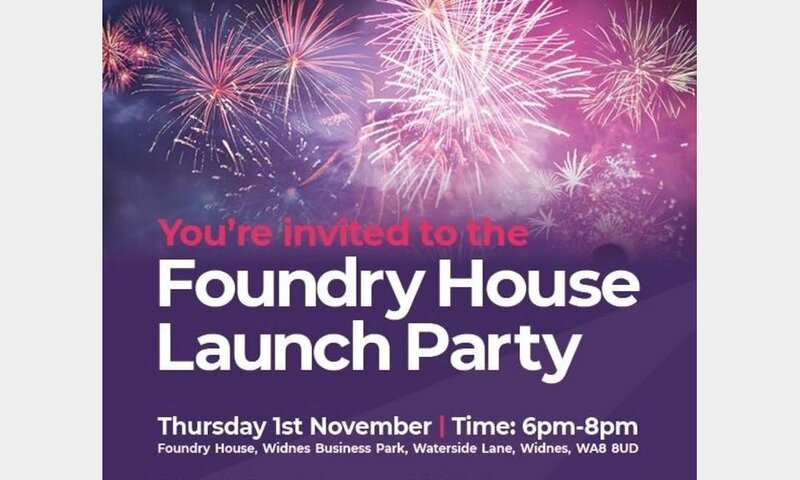 On Thursday 1st November, we’re hosting a launch party for Foundry House and would love for you to join us. You’ll be able to see the space and facilities on offer, as well as enjoy nibbles, hot chocolate, prosecco and a firework display to remember.